Sun damages can make you look highly unattractive. They not only hurt a lot but also increases the risk of developing skin cancer. And when you end up getting sunburned lips, it takes a serious toll on your self-confidence. Yes, just like the sunburned skin, a pair of sunburned lips can also cause extreme embarrassment. In this post, we will be discussing how to treat them easily at home with simple natural remedies and also, how further damages can be prevented. We apply sunscreen religiously to the exposed areas of the skin before stepping out of the house but somehow forget all about the lips. It is only after you return from an outing in the sun when you realize that your lips are too dry and chapped. You also find that they have turned red and even developed blisters. Sometimes, the issue is so serious that it becomes difficult to open the lips without cringing in pain. If you have also experienced the same, it means that your lips got sunburned too. Why Do Lips Burn Under The Sun? Our lips are extremely sensitive to the harsh ultraviolet rays of the sun. The organ is covered by a very thin layer of skin and contains only a little amount of melanin (the pigment that protects our skin from the sun), which make it vulnerable to sun damages easily. Additionally, as mentioned before, although the lips need the maximum attention under the sun, we overlook protecting them. Hence, they end up getting burnt the most. Your body loses a large amount of water when you are out in the sun. Being the most delicate part of the body and exposed directly to the rays of the sun, your lips mirror it the most. Replenish it by drinking lots of fluids – plain water, coconut water, fresh juices, etc. to keep yourself hydrated. This will automatically reflect on your skin. And when your hydration level will be optimum, your lips will turn soft and supple. 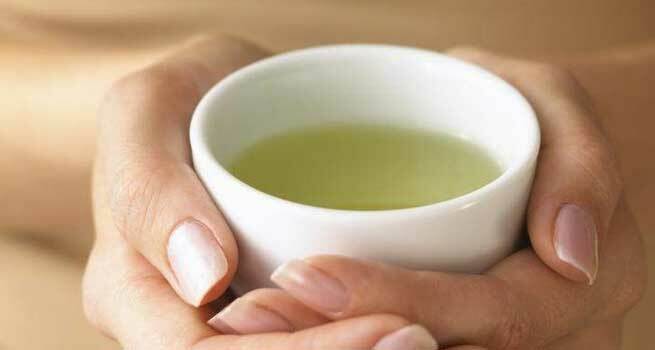 Brew a cup of green tea, let it cool down, and refrigerate it for about half an hour. Now, take a soft clean cloth or a cotton ball and soak that in the chilled green tea. All you need to do is apply it to your sunburned lips for a while as a soothing and healing pack. As green tea is loaded with potent antioxidants, It refreshes sunburned lips and reduces the inflammation caused by the burns. The cooling and soothing aloe vera gel also comes with great anti-inflammatory properties. It helps in bringing down the redness and blisters developed in even the most delicate parts of the skin. Just scoop some gel out of a fresh aloe vera leaf and apply it to your lips as soon as you are back from the sun. It will prevent any adverse reaction from being occurred. Take an ice cube and cover it with a piece of clean cloth. Then, use it as a cold compress over your sunburned lips for a while. The compress will help soothe the inflammation as well as reduce the irritation. However, if you have blisters, then it will be the best to avoid the compress in order to prevent stinging pain. Cold milk is good at healing all types of inflammation – be it in your stomach or on your skin. Simply dip a clean washcloth into some cold milk and apply it on your lips as a compress. Hold the compress until it dries out. This will not just soothe your burnt lips but also add a lot of moisture to it. 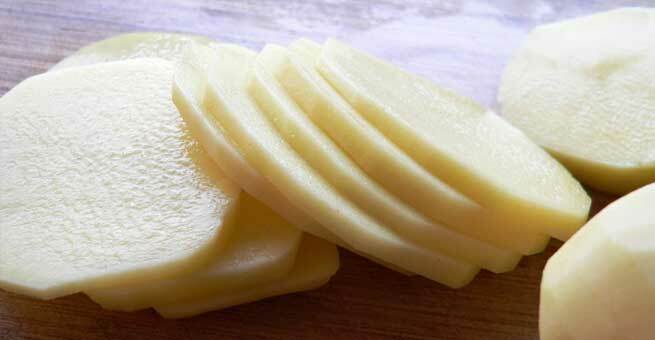 The starch in fresh potato juice helps in healing blisters and cracks in the lips caused by dryness and sun damages. Grate half a potato and spread it directly on your lips. Or, you can extract the juice from the grated potato and apply it all over your lips with the help of a cotton ball. Allow it to dry and then, wash off. The juice will heal the lips and make them supple once again. Vitamin E helps in healing chapped and damaged lips faster. You can either ingest the oil internally in the form of a capsule or break open the capsule and apply the oil directly to your lips. Leave it on for half an hour and then, wash off gently with some water. This will nourish the sunburned lips and also help it become softer and lighter. Consider the sunburn as a lesson learned and always keep a lip balm with SPF (sun protection factor) in your bag all the time. It will help if you use one with citrus extracts since vitamin C can heal your lips even faster. So, never forget to slap the SPF lip balm on your lips whenever you are going out. If you have started developing big blisters on your lips, do not wait. Start applying an antibiotic ointment with zinc like ‘Bacitracin’ before they cause severe damages to your lips and turn into serious infections. This will prevent any infection and also help in healing the blisters faster. Many people apply petroleum jelly to inflamed lips as it is one of the most common lip products. But petroleum jelly traps heat and can aggravate the inflammation. So, stay away from it and use a cooling gel or shea butter instead. With these remedies and preventive measures, the sunburn should heal in a couple of days and your lips should return to their normal state with no risk of further damages. However, if the blisters are severe and not responding to the home remedies, it is best to visit your doctor and get some medical attention.